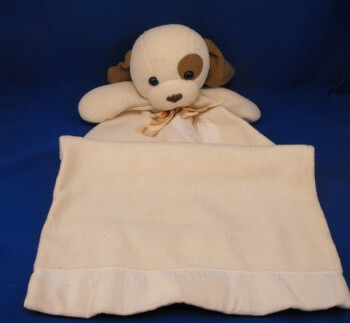 I’m looking for a 27 inch fleece gown style DAKIN cream brown dog blankie with brown eye patch, cream satin heart, and a bow printed 2000 Millennium. 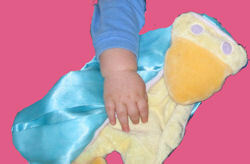 I’m looking for a Koala Baby pink blankie. 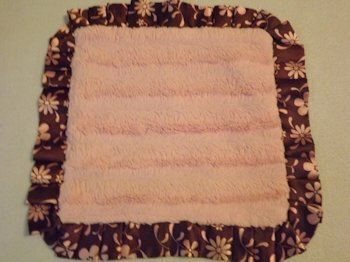 One side is pink ribbed chenille with a ruffled pink flower print brown hem. 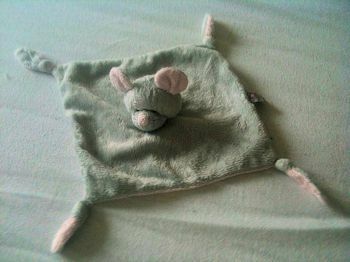 The back side is solid brown. 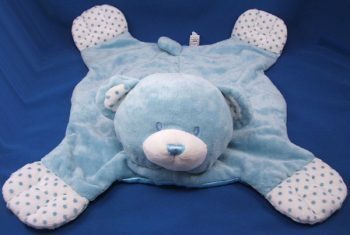 I’m looking for a 24 inch velor Baby Ganz blue bear blankie with a satin lining. 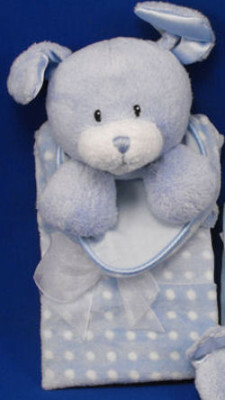 The bear has a white muzzle with polka dot ears and paws.